Open top design combines with smooth interior finish for maximum payload capacity and quick discharge. 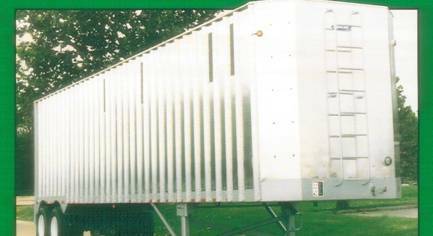 The rugged, aluminum construction and exterior post design has an open top design and is lightweight, weighing approximately 13,000 pounds. 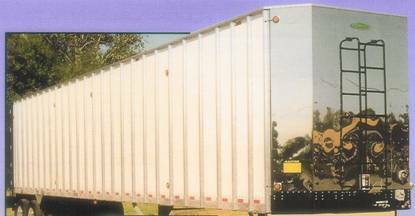 Peerless trailers are constructed of heavy duty aluminum side posts, skin, and live floors, and yet maintain their light weight and durability. All 24 channels move ten inches to the rear to unload; then every third channel sequentially retracts until all are in original position, ready to move ten inches to the rear again. They slide on polyethylene bearings located at each cross member and all across the wheel wells. 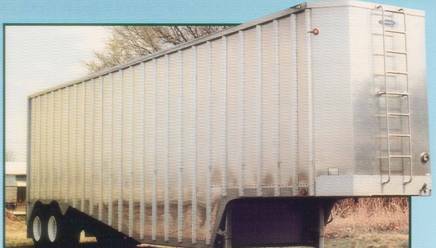 I-Beams on 12" centers provide the support for capacity loads while keeping trailer weight at a minimum. Peerless offers wet kits for the live floor transport. They include a PTO unit and a hydraulic pump to power the live floor when necessary. 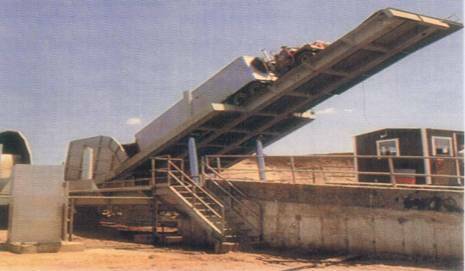 Open top design combines with smooth interior finish for maximum payload capacity and quick discharge. Top hinged, full-size rear door facilitates transport. Side hinged option is available. 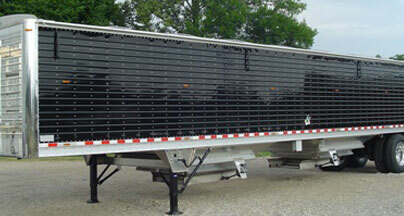 The new Peerless Grain Trailer offers rugged aluminum construction and interior post design. Weighing only 9,730 pounds, this trailer is designed for quick unloading. Peerless trailers' light-weight construction offers greater payloads and the standard mitered front-end cuts wind resistance and fuel cost. 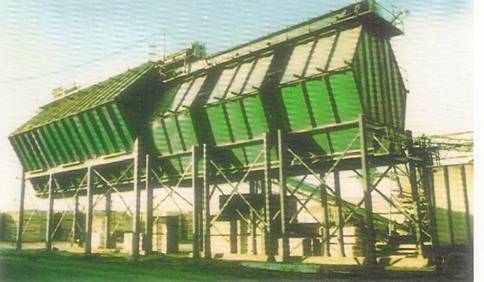 All 24 channels move ten inches to the rear to unload; then every third channel sequentially retracts until all are in original position, ready to move ten inches to the rear again. They slide on polyethylene bearings located at each cross member and all across the wheel wells. 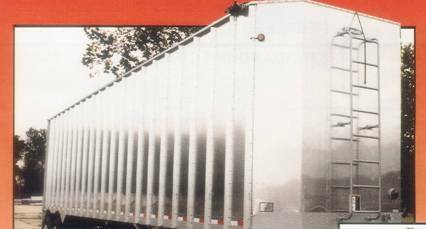 I-Beams provide the support for capacity loads while keeping trailer weight at a minimum. Peerless offers wet kits for the live floor transport. They include a PTO unit and a hydraulic pump to power the live floor drive when necessary. Closed, flat top features chip deflector that covers the full length of the roof and nose. The rugged, aluminum construction features exterior post design and is lightweight. Top hinged, rear door with open top half design facilitates the transport and discharge of payload. Two-speed landing gear on driver's side is channel-braced for added strength. Full sized rear door is skinned with galvanized expanded metal and hinged at the top for easy discharge of payload. 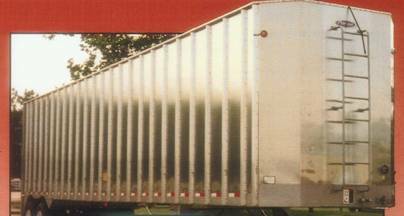 Our chip trailers are lightweight, weighing only 9,970 pounds and feature a 65,000 pound payload capacity. This lightweight trailer features rugged, aluminum construction that is designed for quick unloading using a dumper. The open top, mitered front has a larger payload, 65,000 pound capacity.